It's hard to believe that these vehicles are now 17 years of age. This shot of Plymouth 101 shows Plaxton bodied Dennis Dart K101SFJ shortly after entering service in August 1992. 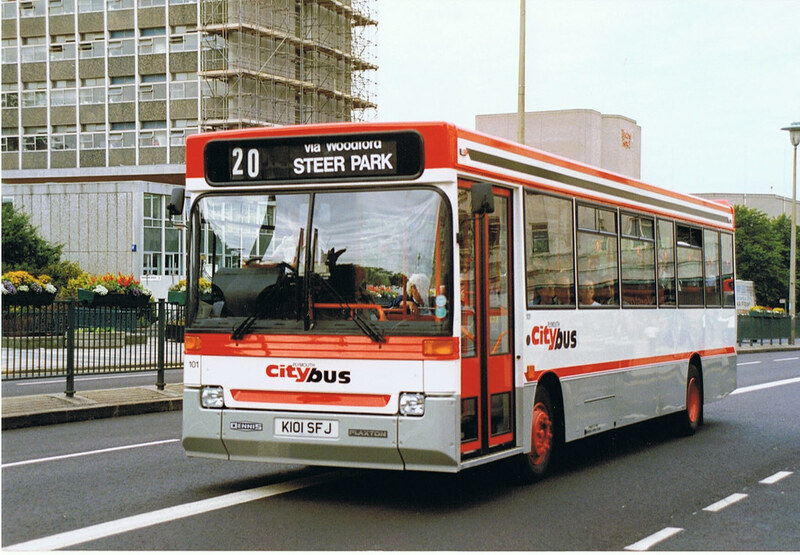 It displays one of several liveries applied to Citybus vehicles over the years. 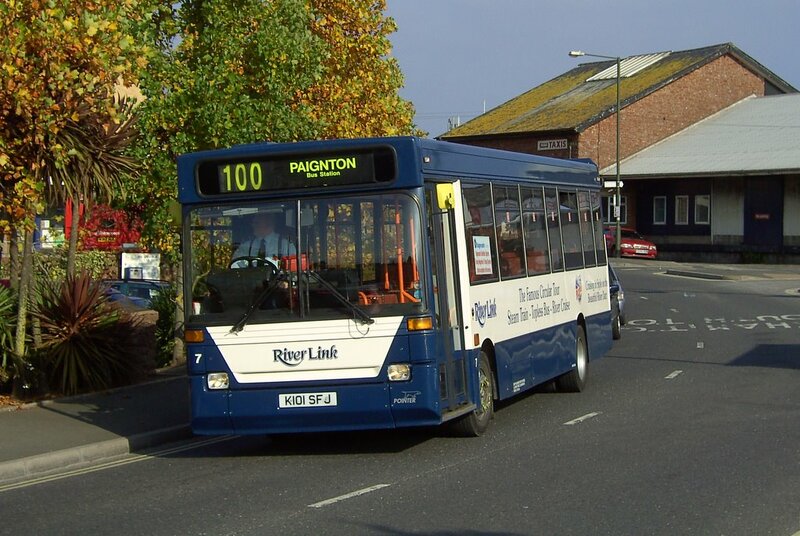 Seeing this picture of a brand new 101 reminds me just what an impact these had on Plymouth. I must admit I had forgot just how smart these were, in this livery at least. I think the black line along the top made the difference as without it the livery ended up a rather bland red white and grey. The latest livery being a welcome return to form for Citybus, and suiting these square buses very well.